"By protecting large swaths of the Amazon, this is a climate assurance for all of us." They've been called the last, truly free people on earth. 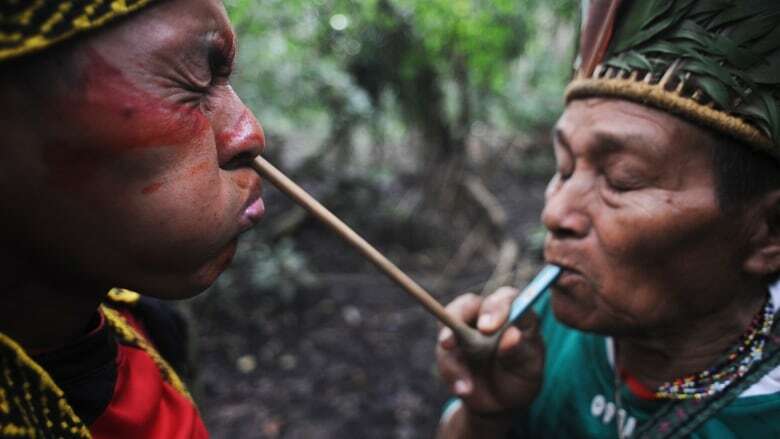 They are the uncontacted tribes people, living deep in the Amazon rainforest of Brazil. There is said to be around 100 such tribes in the world untouched by modernity and the outside world. This month, Brazilian authorities are investigating reports that 10 members of an uncontacted tribe were slaughtered, allegedly killed by illegal gold miners. Dom Phillips, a reporter covering the story says there are challenges to this investigation. "I think it's important to stress that they don't have bodies, they don't have definite evidence that this happened," he tells The Current's Piya Chattopadhyay. "The fact that [the tribe] is isolated means that no one is in contact with them and the government policy is to leave them alone but they have taken this seriously enough to open the investigation." Phillips points out that beyond cuts to Brazil's National Indian Foundation (Funai) — the agency charged with protecting the country's Indigenous people — the government is also talking about opening up mines on Indigenous land. "It's also reducing the protection of different reserves in the Amazon and this is sending out a wider message," he explains. Phillips says that for people who work in the area and those directly affected by the cuts, the perceived message is "The Amazon is open for business, that protection is being reduced and that is in turn also helps the invasions of the Indigenous lands." Kerry Bowman has visited the areas of the Amazon where some of the uncontacted tribes live and "largely they are living in villages, they have crops ... they appear to be quite healthy and thriving." Bowman has been researching the relationship between Indigenous protected areas and environmental impacts for the United Nations Environmental Program. "The ecosystems they live within are really well-maintained. And, you know, a powerful message here is that by protecting large swaths of the Amazon, this is a climate assurance for all of us. There's big implications globally." Bowman points out the expectation of the Brazil government to protect this land is complex. "I've had people in the favelas of Brazil say to me, you know, 'why should they have these large amounts of land protected, I'm Brazilian too, I have neither land nor money. We are all in this together. Why them.'" But he argues this is an area that needs to be protected — "this is their original land." "And also there's such compelling reasons to want to protect the Amazon that I think it makes sense." "...assertions to the effect that there is an attack on the rights of Indigenous peoples and on environmental rights in the country are unfounded. It is one of the few countries that ratified ILO Convention 169. It supported, from the beginning, the United Nations Declaration on the Rights of Indigenous Peoples." This segment was produced by The Current's Karin Marley and Manusha Janakiram.